Yet another Narrow gauge wagon! 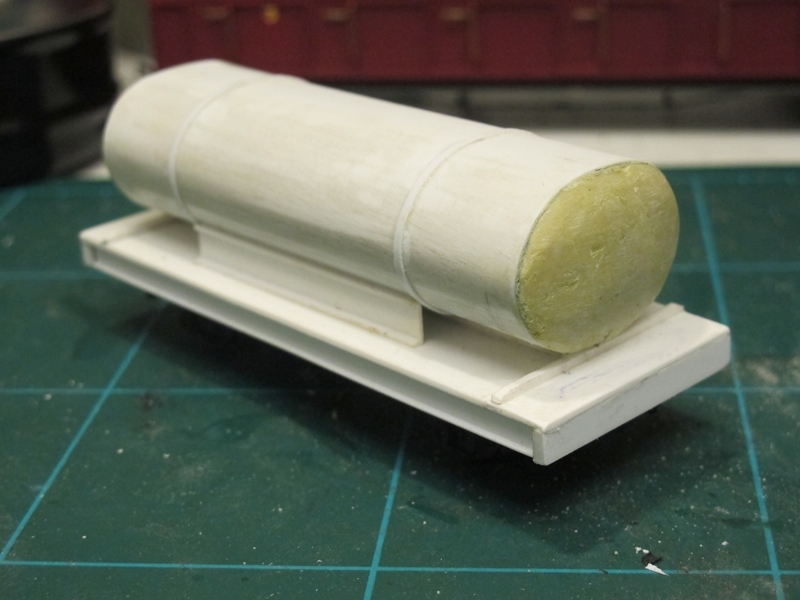 The latest item of narrow gauge stock just come off the work bench. 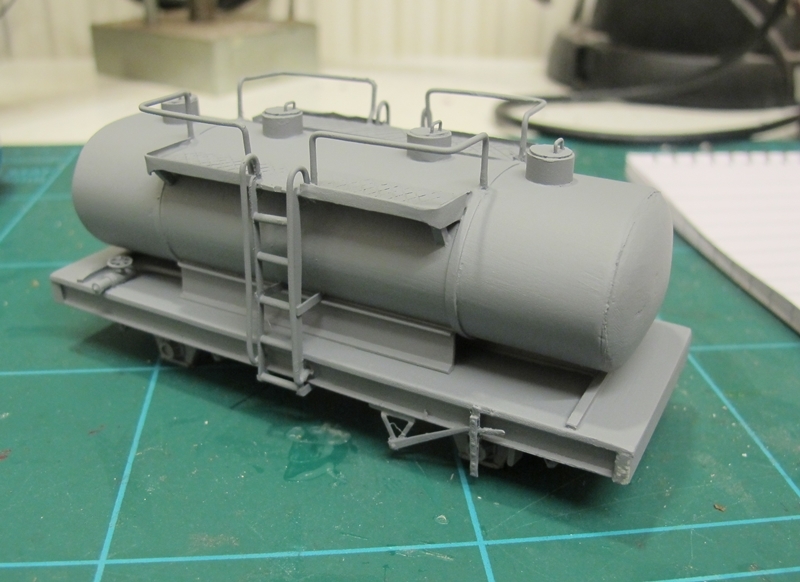 (Still needs transfers to finish) I have always liked the unusual in rolling stock so this time it was time for something a bit more out of the ordinary.That's one thing I like about Freelance NG, the only person that knows if something is wrong is me! This is a Locomotive fuel (Diesel) tank wagon based on one that was used on the FFestiniog Railway when the steamers were oil fired. 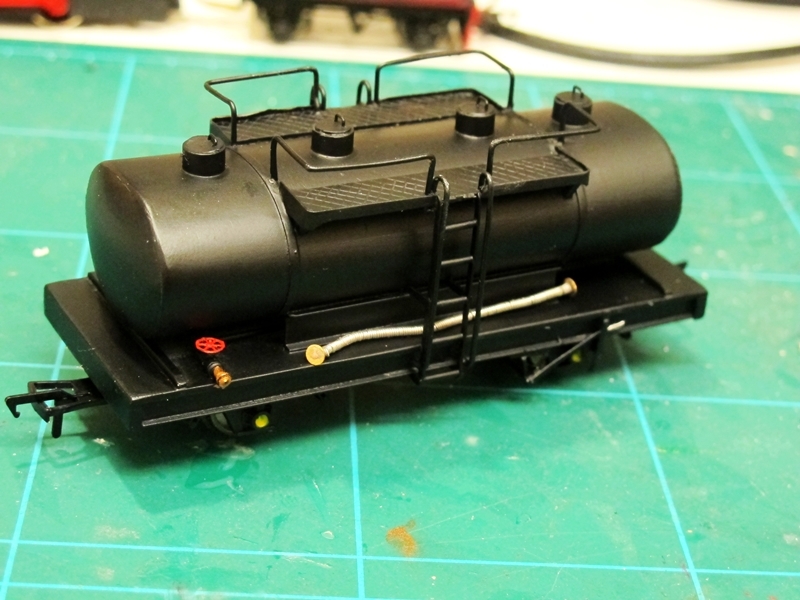 The model is built on an old Hornby 00 gauge long wheelbase 4 wheeled chassis. 10thou plasticard to it. The ends were filled with milliput and filed/sanded to shape. Moving on, scratch built ladders, grab rails, Hand rails, Tank fillers, brake gear and outlet pipe and valves made and fitted.A blast of Halfords grey primer completes this stage. Finished apart from Transfers which I need to make myself because none available from the usual manufacturers. on the running plate. 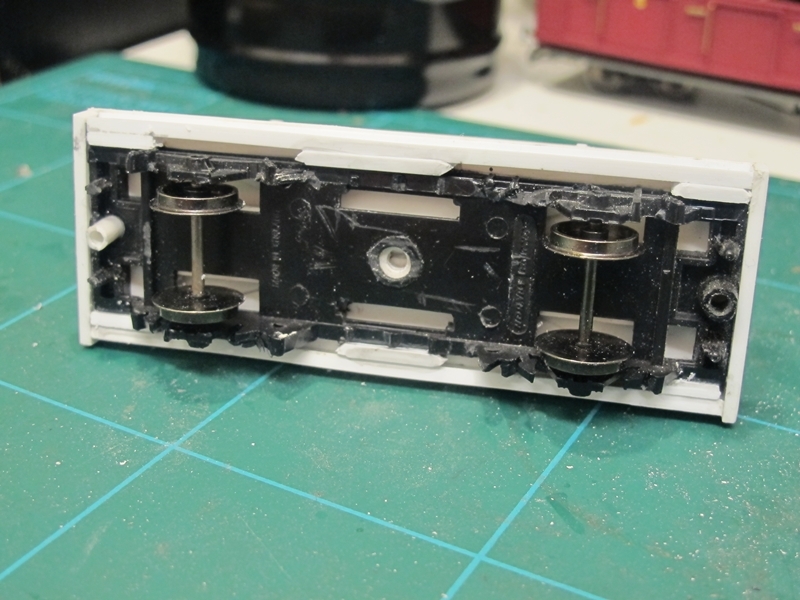 Bachmann couplings as per all my narrow gauge stock are also fitted. Not bad for 2 afternoon workbench sessions! Still waiting for timber and plywood supplies at the "right" price so no wood butchering yet and doubtful if any wood butchering will get done this side of Christmas. However that doesn't mean i can't think and plan ahead a little bit. 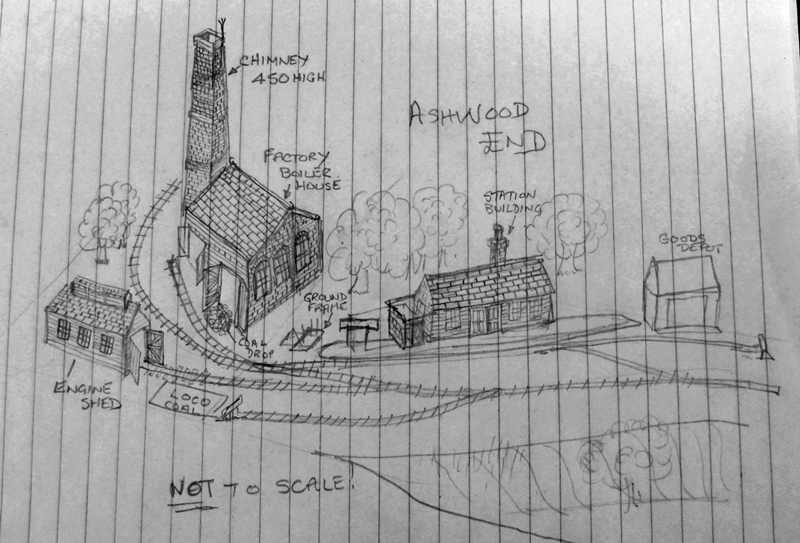 Now, i'm no artist and never will be but, I spent about half an hour just sketching this picture to give some sort of impression as to what Ashwood end will look. Not the best picture as it was drawn in pencil then photographed with my Canon C12. Not all the detail is shown, just enough to give an overall impression that's all. The eagle eyed may note that an extra curved point and siding has been added to the original plan shown previously.the addition is a short siding to bring coal and fuel to the factory boiler house. I intend to start construction on some of the buildings shortly so watch this space for progress. 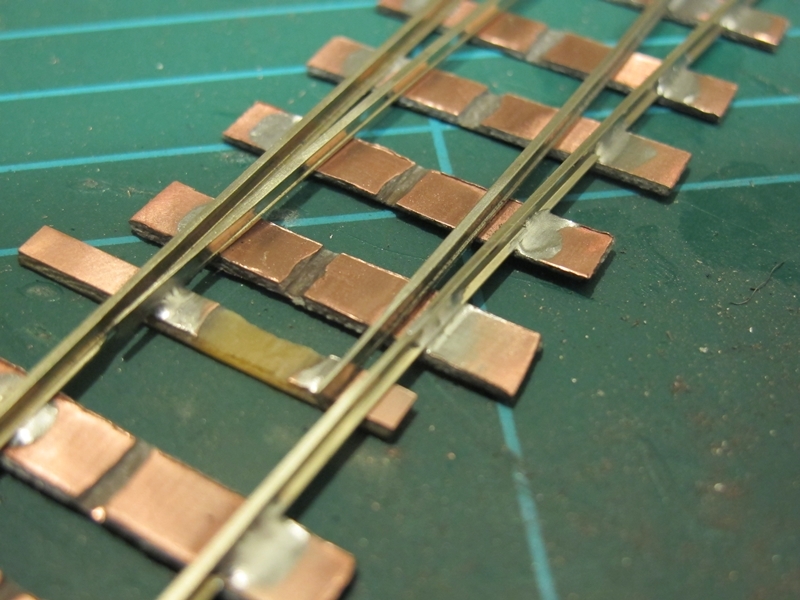 My new project for 2014 and beyond is a new layout in 0-16.5 scale. Having built some locos and stock I think it's about time I built a layout for them to run on hence "Ashwood End" is being created. 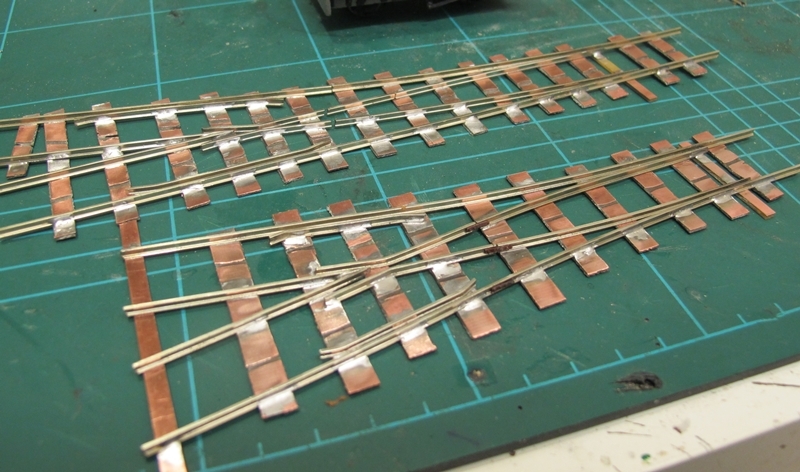 A layout needs track (obviously) for the locos and stock to run on, so, i spent a couple of afternoons last week knocking up a couple of turnouts. I used the traditional copper clad sleepers type of construction using scrap Peco code 75 flat bottomed rail except for the right hand point where I used bull head rail for the switch blades. I was a bit cheeky though because I down loaded some H0/00 point templates from the Peco web site, printed them out and used them as a guide to building, adjusting the size and spacing of the sleepers accordingly. Bit of a cheat really but it works! These are the first narrow gauge points I have made and I'm quite happy with them. Stock seems to run through ok with no wobbles or derailments so that will do for me! Only another 4 points of various types left to do so got some work for the next week or two!